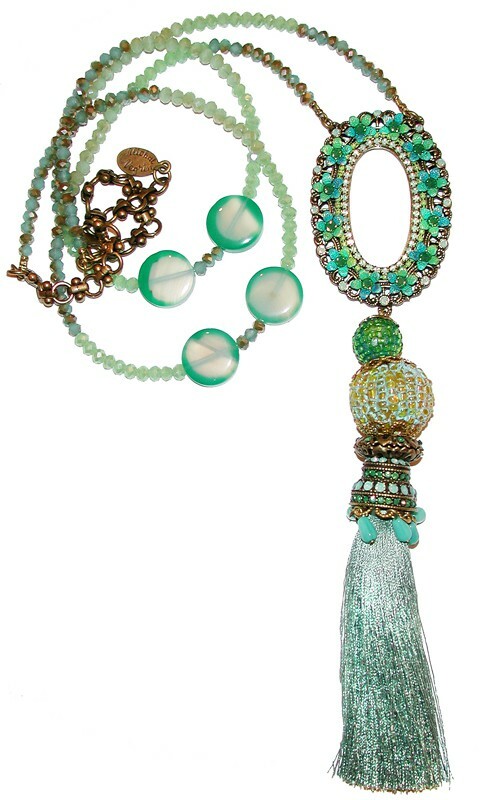 Michal Negrin tassel necklace with pacific opal and icy emerald green tone Swarovski crystals, beads and painted flowers. The chain length is adjustable. The drop measures approx. 7 inches long.